One of the Kind, Handmade Silk Scarves. Hand Painted In Our Art Studio! 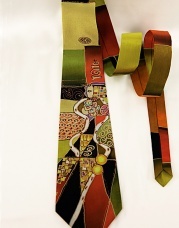 Do you want to attract customers who appreciate one of a kind silk products? We Do Free Gift Wrapping! We Do Gift Wrapping along with Your Special Message for Absolutely Free! Silk Blouses & Silk Tops for Women like You! Capture your beautiful sophistication with this gorgeous silk blouse! This is the Must-Have Accessory of the Holiday Season! Perfect Gift for the Man You Care the Most! Magic Silk Scarves - Get ready to mesmerize! Only Original Art - No Prints! Wrap Yourself in Luxury Silk Scarves & Shawls! Tired of driving from store to store in search of truly unique silk scarves and shawls? Looking for something different from the limited selections at major department stores? Then RuTzari's handmade silk garments are exactly what you're looking for. Each RuTzari item is so special and unique—it's like they were made for royalty! Each silk scarf and silk blouse are painted in about 3 weeks and the silk dresses in about 4-5 weeks each. During this labour of love your silk item is coming to life like a gorgeous butterfly! RuTzari garments are fine art you can wear! WomenClothingToday.com is the exclusive online retailer for RuTzari—the web’s most unique luxury silk scarves, shawls, and apparel for women. Each silk scarf or garment is handmade and hand-painted by artisans in the RuTzari workshops. We offer no mass-produced merchandise—only exclusive, original items which are perfect for the discriminating, fashion-conscious shopper or as a gift for someone special. Because of the high level of attention to detail we require of our artisans, it takes at least five hours to make and paint each silk garment. Even though the patterns of some scarves are similar, the handcrafted nature of them makes each one a piece of fine art. And our products are available at a fraction of the cost of many major luxury brands which mass produce thousands of the exact same garment. 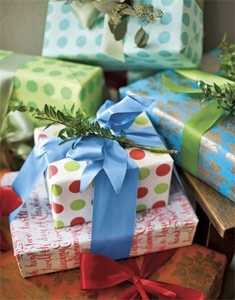 Place the Order & Request Free Gift Wrapping! Find Out How! Would You be Interested to Sell Our Silk Garments? 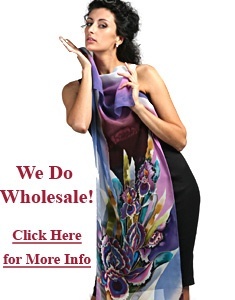 Click Here for Wholesale Info! How We Can Help to Do Fundraising? Click Here for Fundraising Ideas! RuTzari® Unique Hand Made Silk Scarves & Clothing. We Sell ART Not just Fabric. Order Now Online or by Phone at 1-800-275-3165! “I like very much your scarves. You have very talented artist -designer, I like a lot happy colors and flower motives, which your collection has plenty to choose from. Your scarves make also a beautiful gift and I hope they will last long time. Hand made silk scarves are on Sale now! 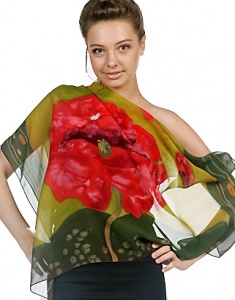 Find beautiful silk scarves for your loved ones!